Space and Time by Russell and George, winner of the Premier Award for Australian Interior Design and the Installation Design category. Photography: Paul Martin. 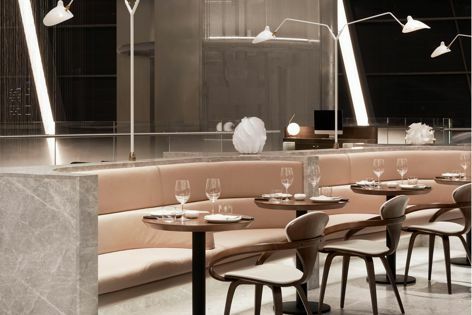 Sean Connolly at Dubai Opera by Alexander and Co. and Tribe Studio Architects, Hospitality Design winner. Photography: Brooke Holm. 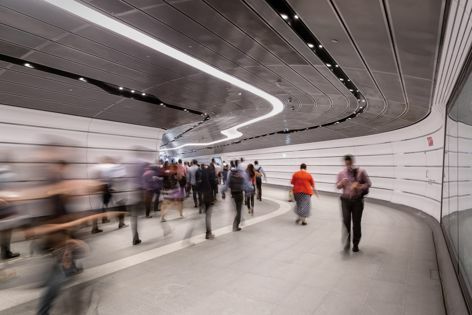 Wynyard Walk by Woods Bagot, winner of the Public Design category and Sustainability Advancement Award. Photography: Trevor Mein. At the 2018 Australian Interior Design Awards, announced on Friday 25 May in Sydney, a project of “seemingly unprecedented spatial experimentation” won the Premier Award for Australian Interior Design. In its fifteenth year, the awards program received 623 entries from Australian designers and also included projects from Asia, Africa, the Middle East and Europe. “This project is as unexpected as it is rigorous and its design sets a new precedent for encouraging innovation and not merely copying what’s been done before,” the jury said of the project, which also won the Installation Design category.